Conquer the first pages of organic search results! SEO or Search Engine Optimization is website optimization for search engines (eg., Google, Bing, Yandex, etc.) aiming to locate the website in higher positions. SEO consists of on-page SEO and off-page SEO. 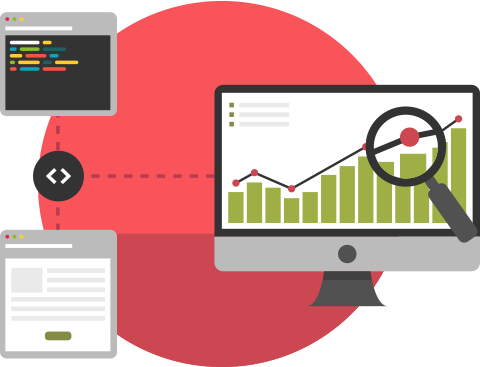 Initially, we offer to perform internal optimization which means the arrangement of the website to meet hundreds of parameters that searchers look for on the page. If competition for optimized keywords is not high then such optimization may be sufficient, but if competition is high, it is necessary to perform off-page SEO optimization, which means the insertion of high-quality links in other resources. Since Google and other search algorithms are not known and they frequently change, we can not guarantee certain positions in search engines. Keyword research – enterprise’s website analysis is performed along with a study of what keywords people are looking for and how often they are looking for it. Strategy Development – analyzing keyword research, a strategy is created on which keywords optimize each webpage section. Internal optimization activities – Website content, URL addresses and customfields are optimized in accordance with the strategy which has been developed. Internal page links are also arranged.